What Drives – Pray or Defense ? We have heard of the days when administering drugs, like Ridlin and Prozac, to our children, prescribed by a psychologist, was considered an acceptable practice. 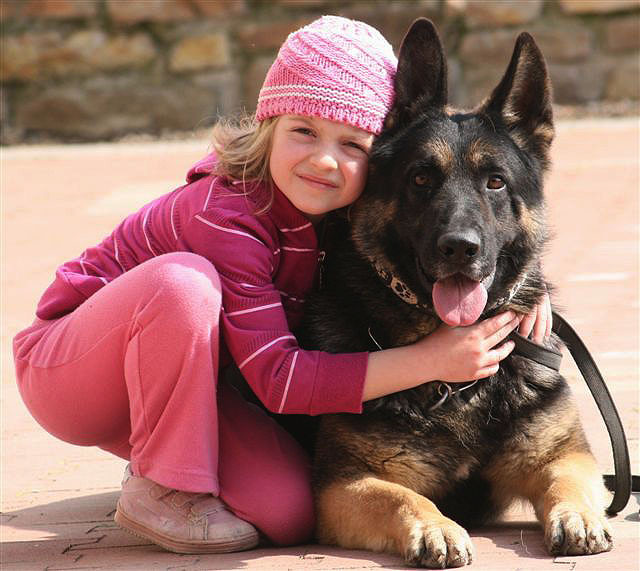 Society today frowns on drugging children, but now, the so-called dog psychologists have taken over. They put our canine friends through a very similar indignity with almost the same drugs! Today, everybody seems to be an expert on the subject of German Shpherd Protection Dogs drives. The ever-changing opinions do not stay the same for too long. However, I have always believed a dog is driven by two things – his prey and defense. His drive for prey would be the one during play while the drive to defend is a serious one. Philosophy of Working Service dictates that while a wolf may be considered a pack animal, a dog cannot, since dogs have been known to leave their littermates and follow humans. A true pack animal, like the wolf, would avoid humans and stick to his own breed. Just as socializing with your colleagues at work does not make you a party animal, a dog that can work with other dogs is not necessarily a pack animal, based on just this criterion. Trouble starts when humans begin crediting dogs with human emotions or as having human traits. This is just as silly as thinking a human could possess canine traits. At the top of the list is the level of discernment that a dog can have. Humanizing the dogs has led to creation on multiple drives. Some of which that I have come across during my research are explained here. Let us look at the term drives first. Initially described as “subconscious impulses to react to stimuli”, this term curses the dog to exist as a creature unable to think. Overreaction to stimuli is a very real possibility that most kennelized dogs display but it is only a result of excessive kennelization, instead of allowing the dog to socialize. A dog’s innate drive has nothing to do with its response to stimulus, rather it is dictated by the environment. Next up is the word temperament. Used to describe a dog’s attitude towards life, and its qualities of a thinking animal, this term is contradictory to even the existence of drives. If this confuses you, as a handler, imagine what the dog feels like! When asked to describe courage, most people would say that it is the absence of fear. However, to me not being afraid of objects or situations does not make you courageous, it makes you stupid! I believe courage is facing one’s fear and mustering the strength to work even when afraid. Veterans will tell you both courage and fear go hand in hand. Described as the need to pursue objects not within sight, they essentially mean the same thing. Attesting to that is the fact when tracking a dog who is hunting for a man’s scent during a Search & Rescue mission, most trackers will see the canine will use all of the senses at his disposal. Giving three names to a single drive only adds to the confusion of the handler and consequently, the dog. Described as the drive that allows a dog to bring an object back to his handler. I consider this a sporting term much the way forced retrieve is one. Since we often dogs refusing to retrieve stuff, we can say that this is an obedience exercise not dissimilar to other training exercises. It has nothing to do with the subconscious of a dog. Described as the subconscious need to bite and kill his prey. It is also displayed in a dog’s refusal to let go. We need to understand one crucial thing – if a dog is biting to kill, he is not playing anymore! This example will illustrate the difference between defensive and play modes. A dog chasing a cat is in play-mode or nonserious while the cat is fleeing for its life and is defensive or serious mode. The subconscious need for physical contact with other packmates. Described as the subconscious need for emotional contact with the packmates. The list goes on and on. For an animal that is under the subconscious control of these drives, a dog seems to have a lot of them! He seems to me, a very complicated creature. Men and dogs have worked alongside each other in complete harmony. Misinformation like the “drives” is bent on destroying that human-dog relationship. Under stress or during intensive work, neither man nor the dog can indulge in such folly and must fight to survive. Dogs were a part of defense during World War II; their dexterity amazed more than one person back then. The reason for a relationship that worked was that it was necessary. They did all they could to survive, instead of theorizing things that did not even exist!